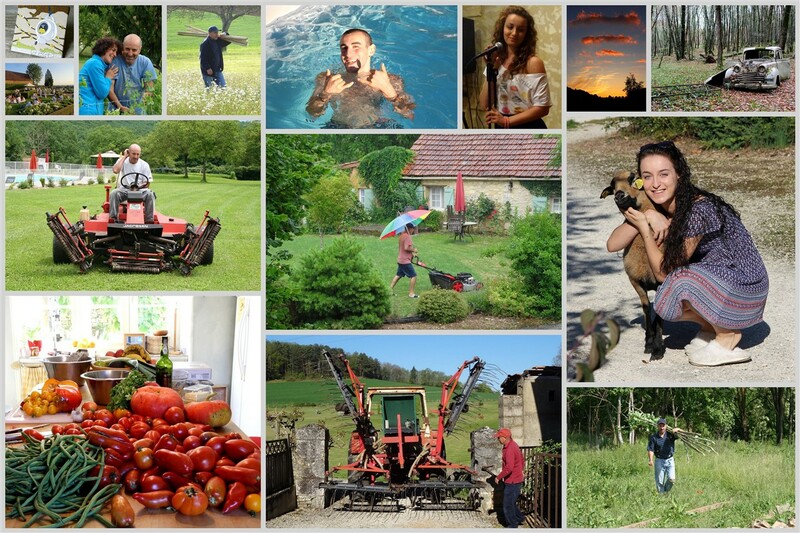 7 charming holiday cottages in the Dordogne. 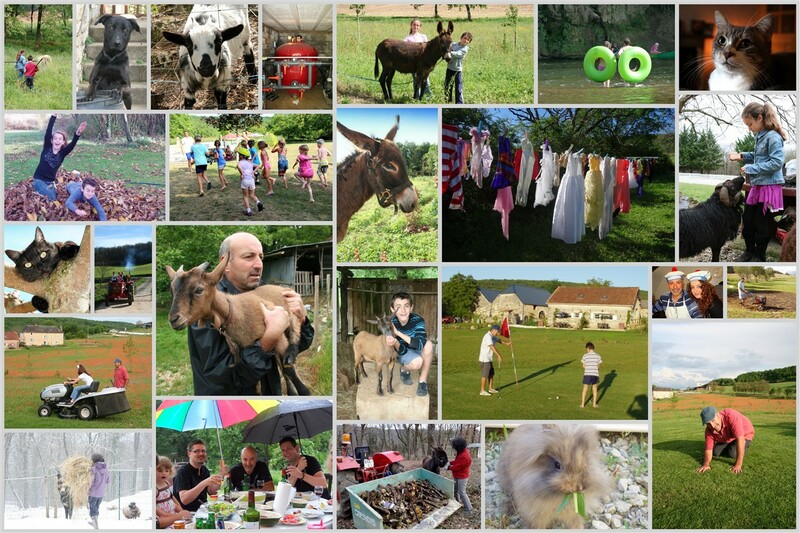 Heated pool, 9 hole pitch & putt course, farm animals & much more. Perfect for all the family! It’s with mixed emotions that we have now handed the reins over to a new family who will no doubt add their own footprints on the paths we have left behind and take this little corner of Jayac on to another level. When we moved to France, Emma was 8 and Alistair was 6. After a year of looking for the “ideal” place, we were all relieved to finally be putting down some roots at Les Crouquets. We turned up at 3am in the pitch dark and stayed in Le Fournil. When we opened the door in the morning 3 sheep strolled into the kitchen like it was the most natural thing in the world …. it was a culture shock in every sense of that well used phrase. There began our adventures. For the first month we had no phone, no internet, no television and no outdoor lights. We did have the old owner’s Doberman though, an unapproachable animal with a dislike of children and this dog was the reason we found ourselves creeping across the garden with a kitchen knife when we thought we were being robbed in the middle of the night (we weren’t) …. safe to say we found ourselves at the start of a very steep learning curve. And learn, we did – Amar very quickly morphed from an academic university lecturer turned self taught chef/hotel owner into the most versatile DIY Man Friday you could ever hope to meet! I suddenly found myself able to multi task with a speed and dexterity I didn’t know I possessed, including relearning my night school French which right from the outset was sorely inadequate for the intregrated life we were aiming for. Father & son football matches, competitive golf tournaments and more recently an even more competative triathlon! The sight of a row of eager children parked outside our front door every morning waiting for Alistair to get up and lead them to the abandoned car in the woods like the mini pied piper of Jayac! The list is endless … these are just a scant few of the millions of memories we have amassed … some of these tales are documented in this blog, many more are waiting to regale anyone who wants to listen. I could literally write a book, and maybe I will when the time is right . But the best part of our time here is without a doubt the people we have met. 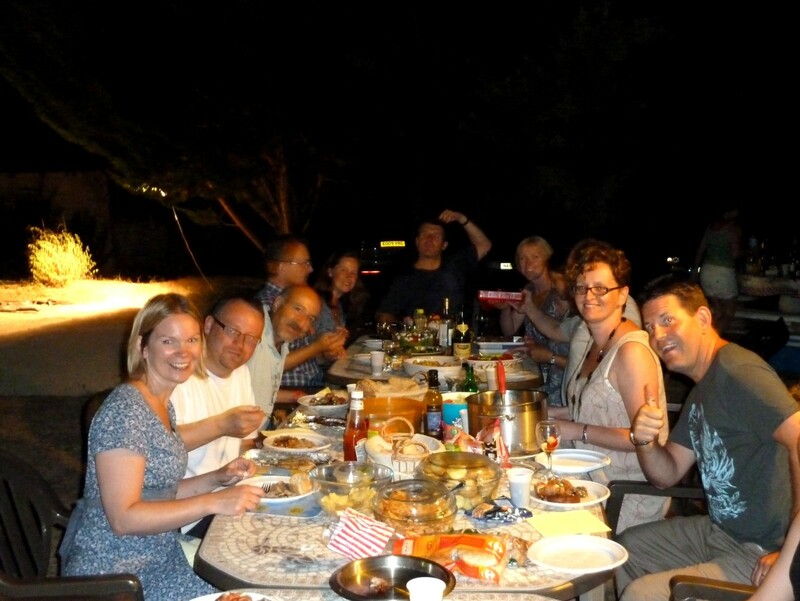 How privileged we have been to have met so many, many genuinely wonderful, warm and endearing families. We are humbled that many have returned year after year and whose children have “grown up” along with ours and of some of which we now count in our circle of good friends. We couldn’t have done it without you and we thank you from the bottom of our hearts. 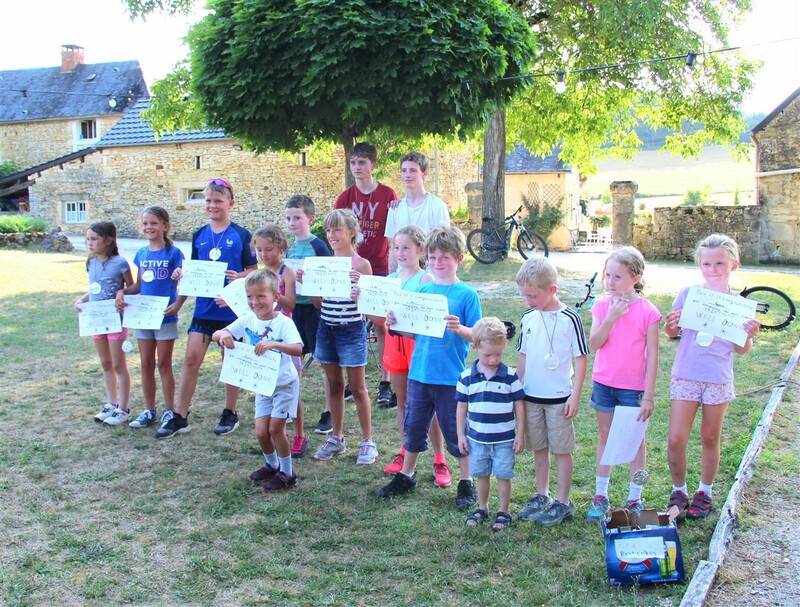 We hope that Phillippe, Guillaume,Jessica and their children have the same enriching experiences as we have had and we wish them all well in their new venture. 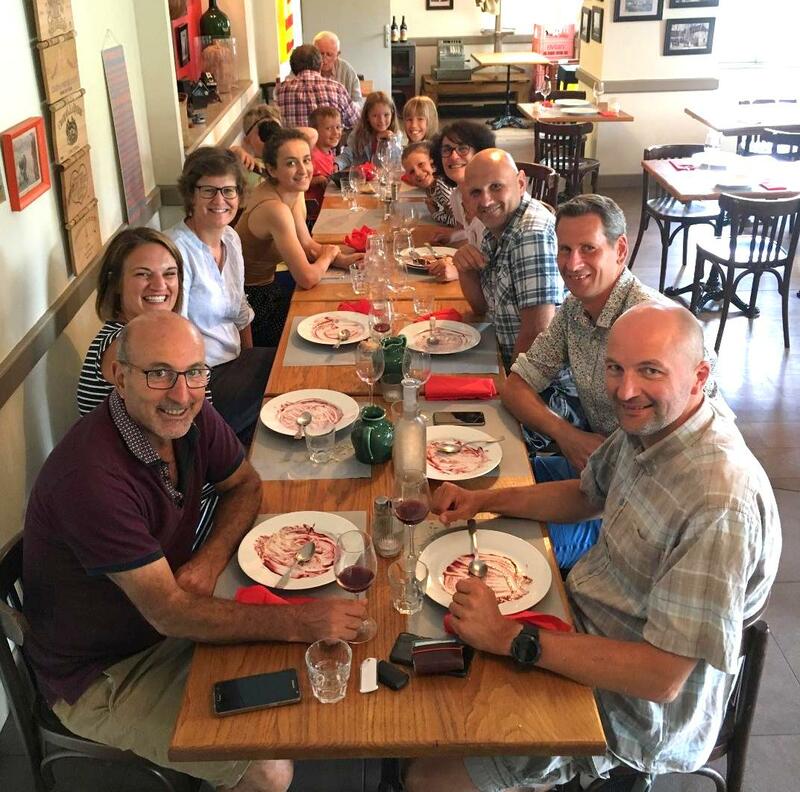 Jessica & Guillaume Joly – new owners of Les Crouquets! And us? Well we still have La Tour de Genèbre to keep us occupied and Amar is about to embark on building us a house, also in Jayac so we’re not going far! But for now it’s time to sit back and take stock before moving on to the next chapter …. No matter how integrated I might feel here in France, there is still a kind of basic comfort in finding some reading material in my mother tongue. 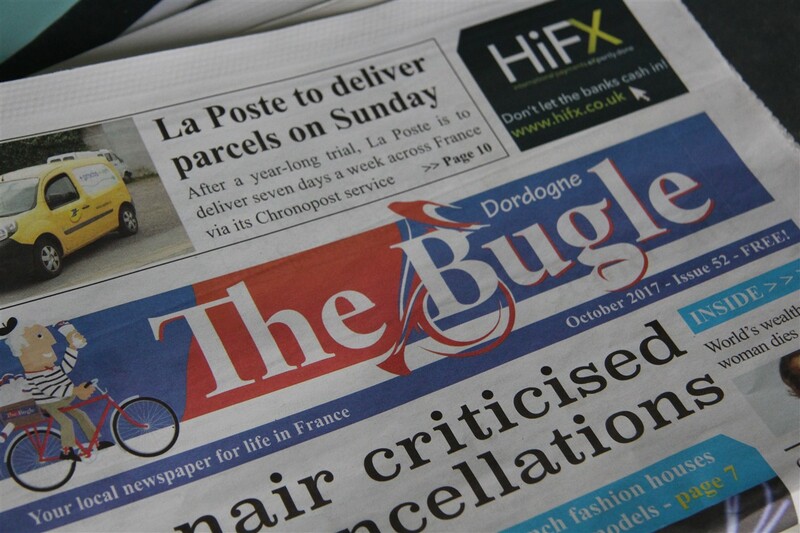 So when I come across the latest monthly edition of The Bugle , a local, free, English newspaper, I happily scoop up a few copies; one for me and some to leave in the gamesroom and up at La Tour de Genèbre for our guests. I then settle myself down for a good read with a nice cup of tea and some biscuits …. So British! 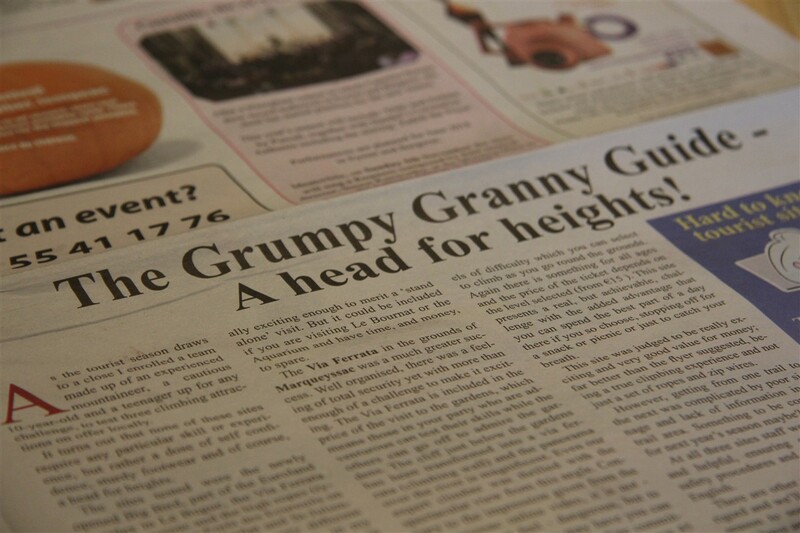 In among a piece about Ryan Air’s recent cancellations scandal and a story about France now banning too skinny models, this month’s edition just happened to have an article from The Grumpy Granny Guide comparing 3 Dordogne climbing attractions. These have all been visited by lots of our guests before so I thought it might be quite interesting to reproduce their findings here. Their testing team was made up of an experienced mountaineer, a 10 year old child and a fearless teenager. It may be pertinent to note that they omitted to include a 50 something, risk averse, stiff jointed, prone to vertigo mother of two, ( aka Moi!!) in this focus group so the results may be somewhat skewed 😉 ! Anyway, here are their findings, copied verbatim (in italics) from the Grumpy Granny write up in The Bugle …. hope the editior, Steve Martindale doesn’t mind! 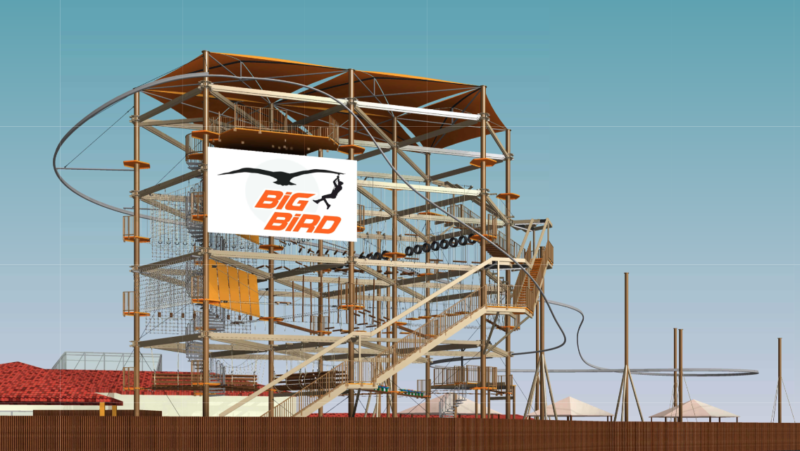 This attraction has been squeezed into the crowded Euroland site next to Le Bournat and is a glorified climbing frame for all ages. The safety harness ensures you feel totally secure and it was judged to be a very “tame” experience because at every step you can choose your level of difficulty and it’s not hard to negotiate. “More annoying than challenging”, “An acrobatic and not a climbing experience”, “Fine for the very young or those who have never climbed before” were the team’s comments. However the ticket price is high at €17 for what is a short visit (approx 30-40 minutes or even less for an agile or experienced climber), and not really exciting enough to merit a “stand alone” visit. But, it could be included if you are visiting Le Bournat or the Aquarium and have time, and money, to spare. 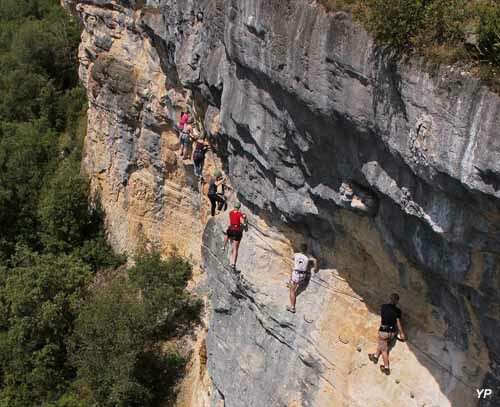 The Via Ferrata in the grounds of Marqueyssac was a much greater success. Well organised, there was a feeling of total security yet with more than enough of a challenge to make it exciting. The Via Ferrata is included in the price of a visit to the gardens, which means those in your party who are adventurous can test their skills while the others can can go off and admire the gardens. The cliff just below the gardens has been transformed into a via ferrata (climbing wall) and the panorama over the river is magnificent. Even our expert climber was thrilled with the spectacular view from this angle. Contrary to the impression given from the Marqueyssac online video, it is not – and does not feel – dangerous, but to allay any fears you may have you can make a 50m test run before committing yourself to the longer ( approx 45 minute) climb. An excellent initiative which some other sites would do well to follow. You can see a video of people in action here!! In agreement with the above report, to me it just looks petrifyingly scary, but for all those adrenalin junkies out there I can see why it would be a fantastic experience – I can almost, almost see myself now, clinging one handedly on to those ropes while clutching my camera with the other hand , hoping in vain to capture some of those breathtaking views which are almost certainly … in my case, possibly quite literally … to die for 😉 ! 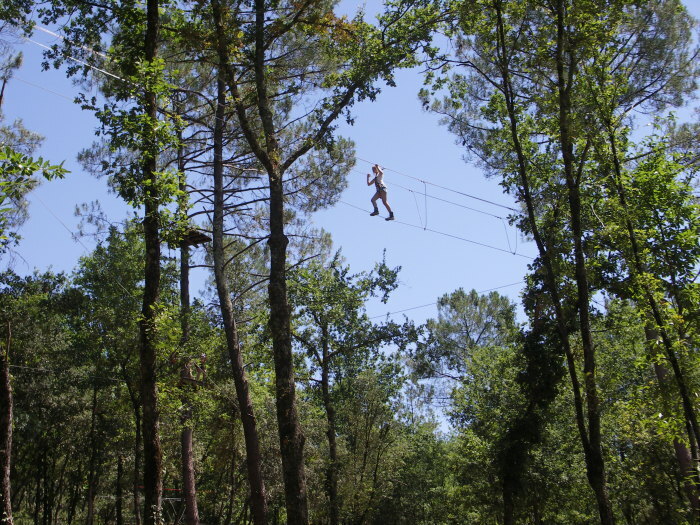 The experience at the Forêt des Ecureuils is different again, consisting of a number of high rope trails through the trees which present different levels of difficulty which you can select to climb as you go round the grounds. Again there is something for all ages and the price of the ticket depends on the level selected ( from €15 ). This site presents a real, but achievable challenge with the added advantage that you can spend the best part of a day there if you so choose, stopping off for a snack or picnic or just stopping to catch your breath. This site was judged to be really exciting and very good value for money; far better than the flyer suggested,being a true climbing experience and not just a set of ropes and zip wires. However, getting from one trail to the next was complicated by poor signage and the lack of information in the trail area. Something to be corrected for next year’s season maybe? 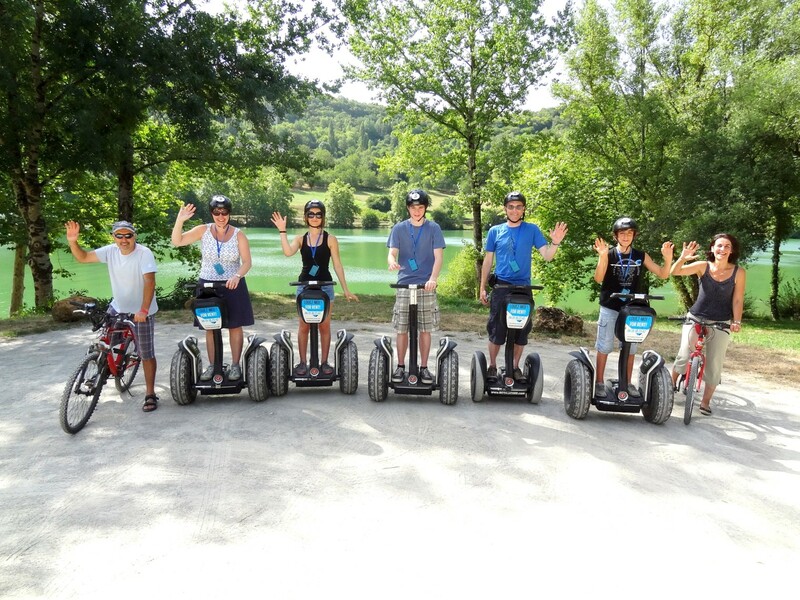 All 3 sites staff were friendly and helpful, ensuring clear, careful safety procedures and all spoke some English. Do let us know if you’ve tried any and what you thought ….. in the meantime while I’m waiting for the November edition of The Bugle to hopefully come up with a more sedate set of amusements to test, I may well take myself off to the Via Ferrata for that 50 m trial run ….. who knows, I might even come back with a head for heights! A Baby sister for Les Crouquets! To buy or not to buy …? Do you take this goat…? To shear, or not to shear …?